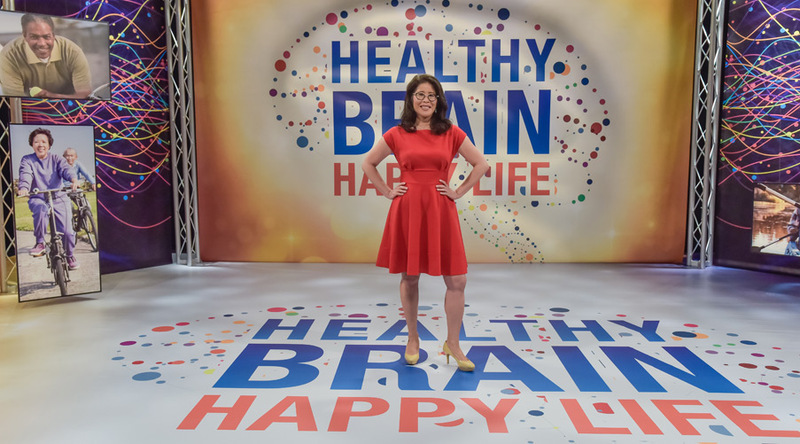 I can't tell you how thrilled I am to share my first PBS prime time special based on my book Healthy Brain Happy Life with you. It's a fun, engaging and interactive way to learn about the transformative power of physical activity on your brain. It's also full of what I call "brain hacks" which are fun and easy ways to bring more movement into your life. But the best part of all is all the special gifts that I got to create for everyone who donates to PBS. With a donation, you get a special after- show interview that I did with the Peabody Award Winning radio producer and host Julie Burstein, a guided meditation by the international meditation and breath work expert Nicholas Pratley, an movement session led by me together with world-renowned dummer Hasan Bakr and extra music to move to recorded by Hasan just for the PBS audience. You also get a free pedometer that I call a "brain-o-meter" with special instructions from me on exactly how to use that pedometer to figure out the style of walking that is best for your mood. LOOK FOR THE HEALTHY BRAIN, HAPPY LIFE SPECIAL ON YOUR LOCAL PBS!